Do your events tend to get lost in a blizzard of information? 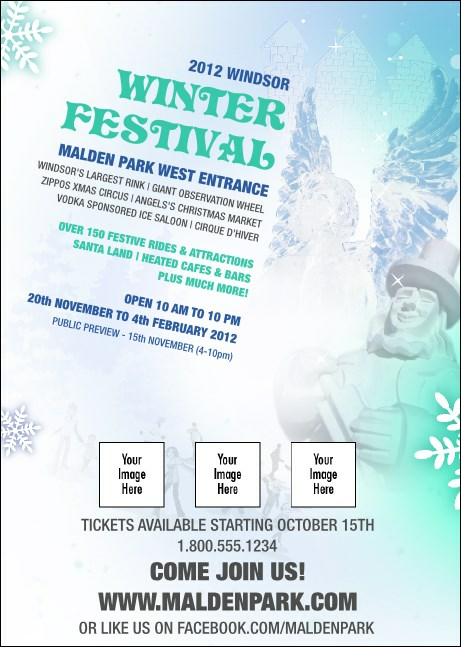 Crystallize your pre-event publicity plan with the sleek, sparkling simplicity of the Winter Festival Postcard. Add your event details and three custom images to a snowy wonderland, evoking the magic of the season and summoning your guests with frosty style. Make some magic with TicketPrinting.com.